THE SOCIAL TV SUMMIT LOS ANGELES FOCUSED ON THE DEVELOPMENT OF CONTENT WITH SOCIAL TV AND SECOND SCREEN EXECUTIONS IN MIND. 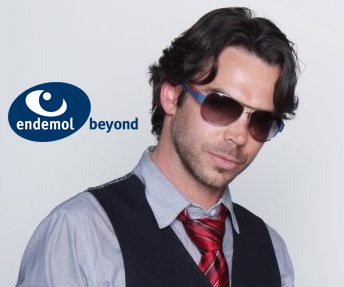 As president of Endemol Beyond USA, the former top executive of Maker Studios, oversees the launch of the new digital ventures in the U.S. and is building a network of genre focused premium channels. Three senior representatives from Endemol, Ryan Seacrest Productions and Electus will hear three 20 minute pitches from showrunners that have developed ideas for reality, quiz shows, games shows, etc. that are specifically designed to REQUIRE viewer interaction, participation, play along, etc. The three senior Production representatives, with the Bel-Air Country Club audience’s assistance, will vie to “own” the shows being pitched, Shark Tank style. 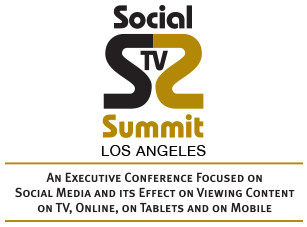 The Social TV Summit audience will vote on Best of Show pitch as well. Have a Show Idea that You Are Willing to Pitch In Front of the Our Summit Attendees and the Thousands Watching on Our LIVE Stream, email andy@socialtvsummit.com. A Social TV Summit committee will choose the three ideas to be pitched. All entrants are required to seek legal advice and are totally responsible to protect the ownership of their idea. Social Summits, LLC. and all participating production companies will require a document to be signed to hold all harmless for any potential theft of an idea.